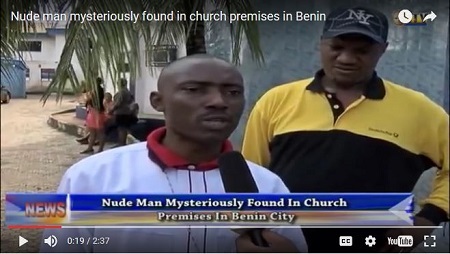 Worshipers of the City Gate Ministry in Benin City area of Edo State were shocked to the mysterious discovery of an unclad man within the church premises. 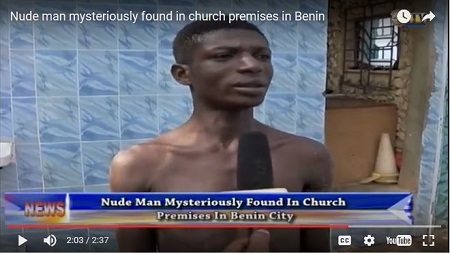 The fact that the gates of the Church were locked and locks unbroken raised suspicions about his spiritual prowess which he affirmed. The dark young man who could be seen limping in the video probably due to the effect of the great fall admitted he is a wizard who took off from a spiritual world called ‘Agbaru’.